Scientists have produced pigs which may be protected from an infection that costs the swine industry billions each year. Advanced genetic techniques have been used to produce pigs which are potentially resilient to Porcine Reproductive and Respiratory Syndrome (PRRS). The research team at the University of Edinburgh’s Roslin Institute, in collaboration with Genus, used a gene-editing tool called CRISPR/Cas9 to cut out a small section of the CD163 gene in the pigs’ DNA code. Early tests have revealed that cells from the pigs are completely resistant to infection with both major subtypes of the virus that causes the disease. The animals are otherwise healthy and the change – introduced using gene-editing technology – should not affect their ability to fight off other infections, the researchers say. PRRS causes severe breathing problems in young pigs and breeding failures in pregnant females. Studies have shown the PRRS virus targets immune cells called macrophages. A molecule on the surface of these cells called CD163 plays a key role in enabling the PRRS virus to establish an infection. Laboratory tests of cells from the pigs with the modified CD163 gene have confirmed this change in the pig’s DNA blocks the virus from being able to cause infection. The next stage in the study will be to test whether the pigs are resistant to infection when exposed to the virus. 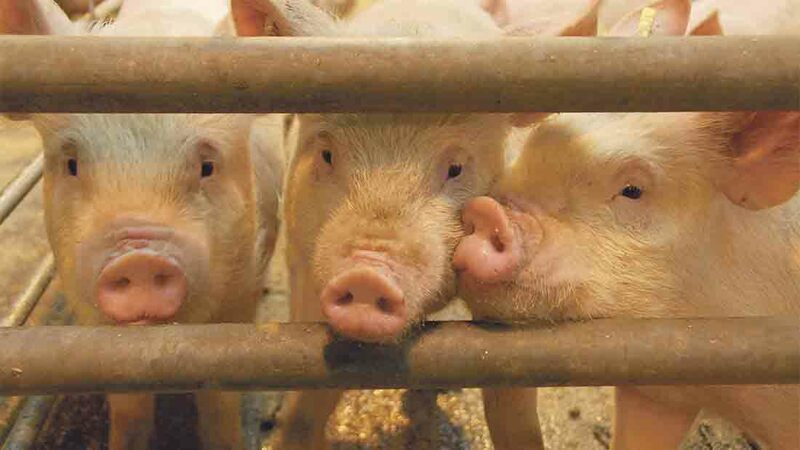 Previous studies by another team have produced pigs which lack the entire CD163 molecule, and which do not become ill when exposed to the PRRS virus. In the latest study, only the section of CD163 which interacts with the PRRS virus is removed and the molecule appears to retain its other functions.